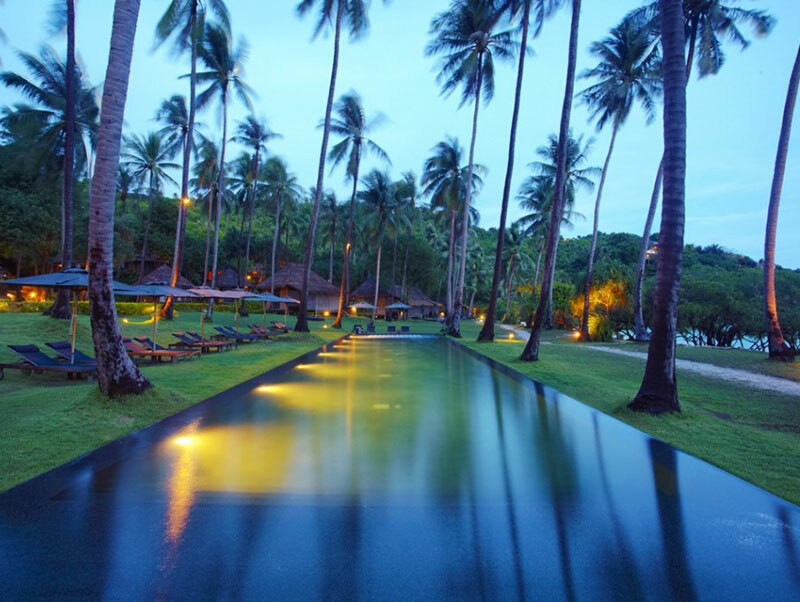 unique boutique resort nestled amongst the palm groves in the southern tip of Koh Tao with its own approximately 350 meter secluded beach. 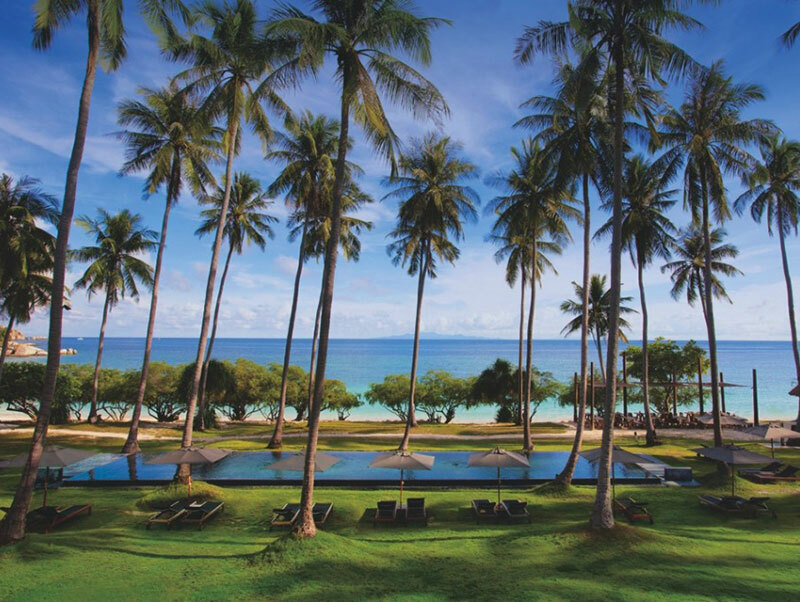 The development has taken place organically with variety of private villas and rooms, both beachfronts and seaviews, set amongst 45 acres of land that encompass the resort. 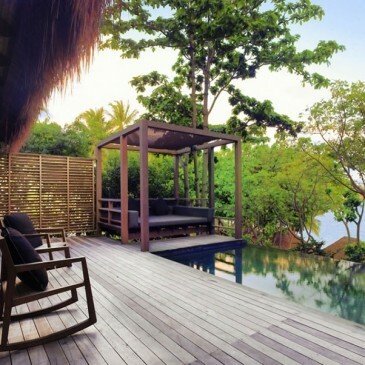 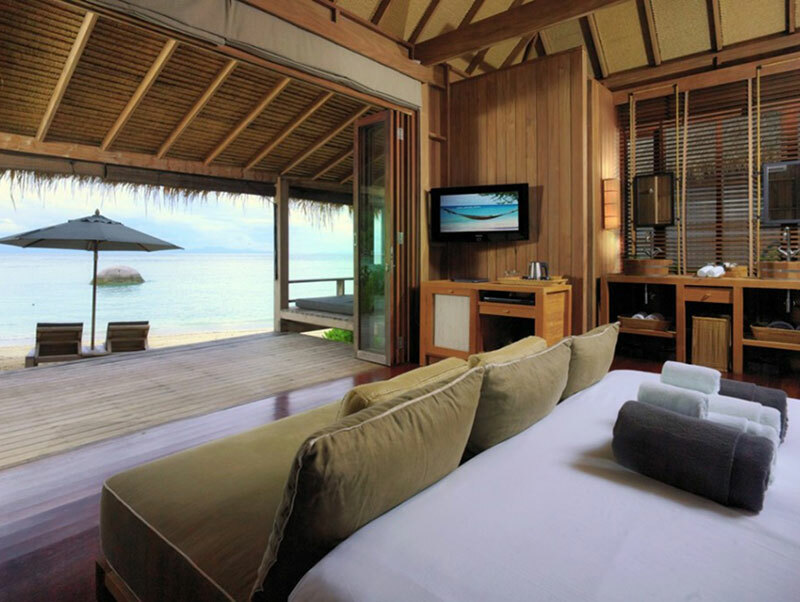 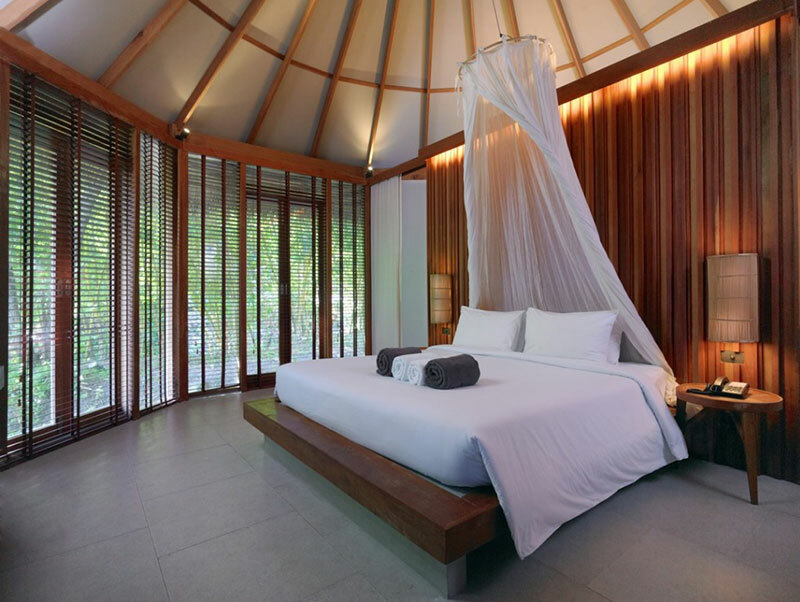 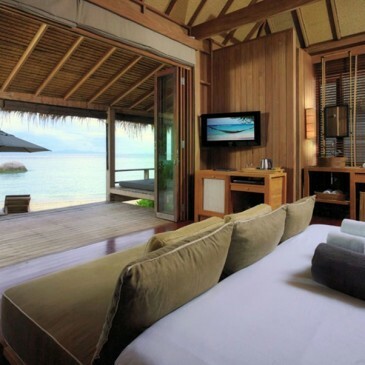 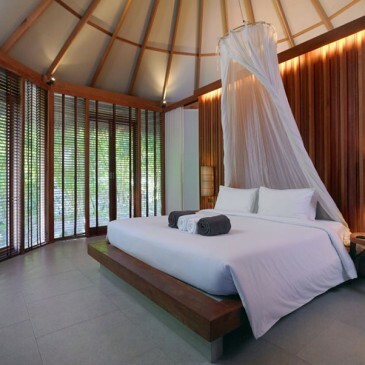 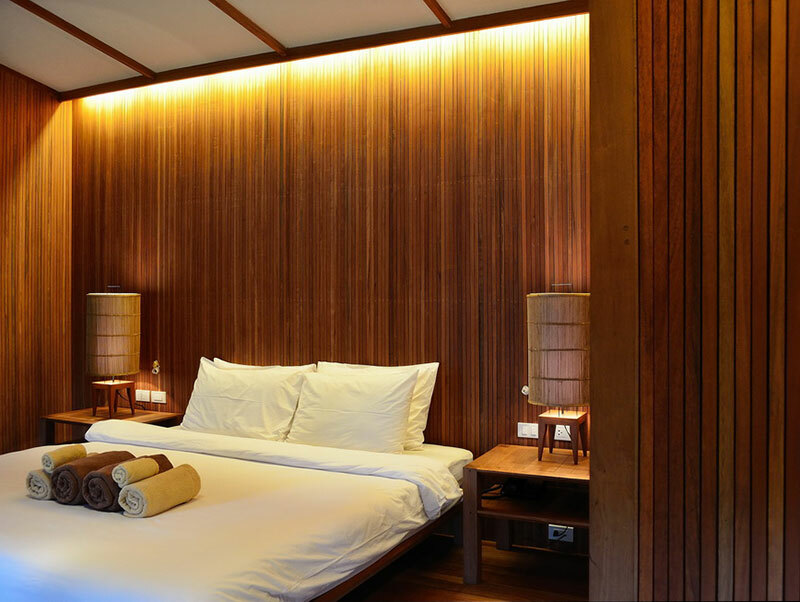 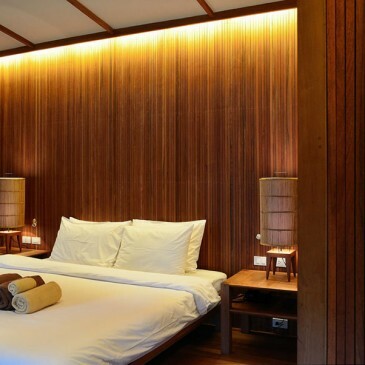 The villas have been designed to provide guests with clean, comfortable and spacious accommodation without sacrificing the natural environment which makes the resort so unique. 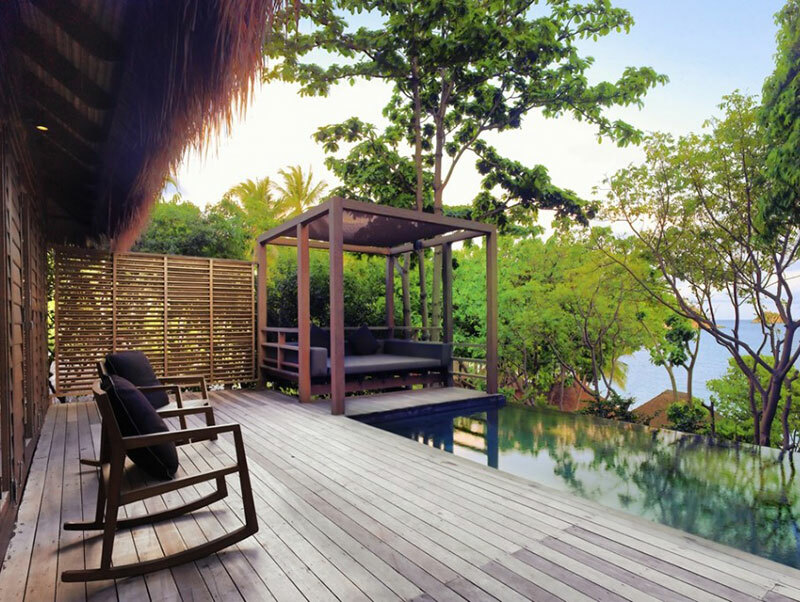 The resort is totally private as it is situated in its own natural bay, with granite cliffs on both sides and jungle behind, yet the resort is only a kilometre from the nearest village with local shops and restaurants. 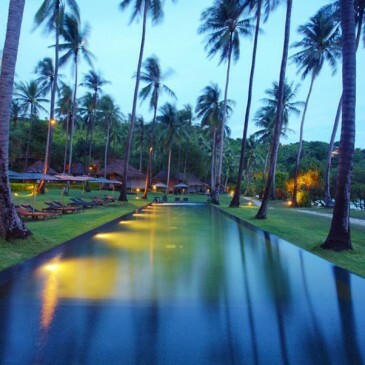 The beach itself opens out onto a crystal blue shallow lagoon which is perfect for swimming and snorkeling, and at night all that can be heard is the lapping of the waves and the whistling of the breeze. 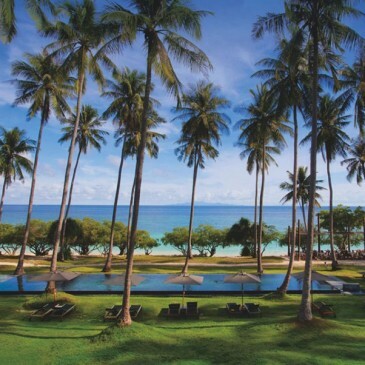 In keeping with environmental influences that make the resort so special, the name “haad tien” derives from the trees to be found growing at the water’s edge, with their gnarly roots digging into the white coral sands of the beach.